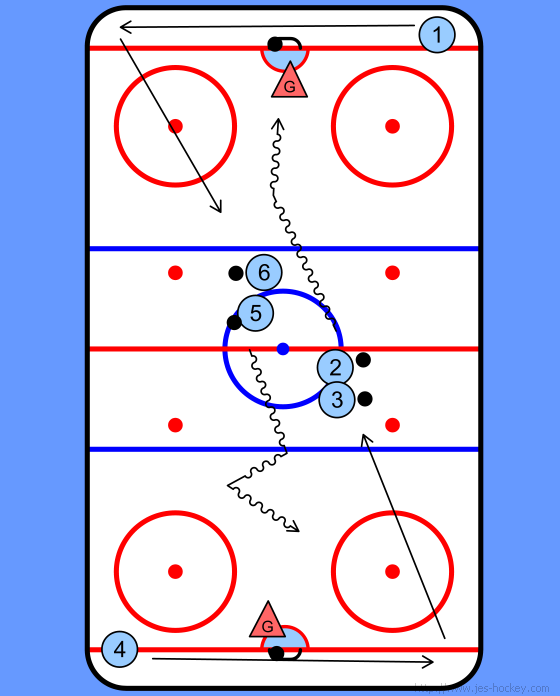 A simple drill to practice the penalty shot. Two rows of players at the midline all with a puck. Each row a the goal with a goalie. 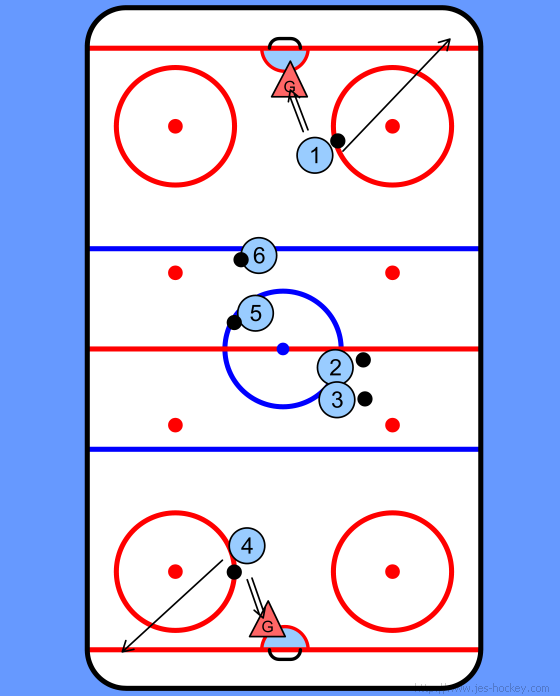 Player 1 and 4 skate towards the goals, not going backward. 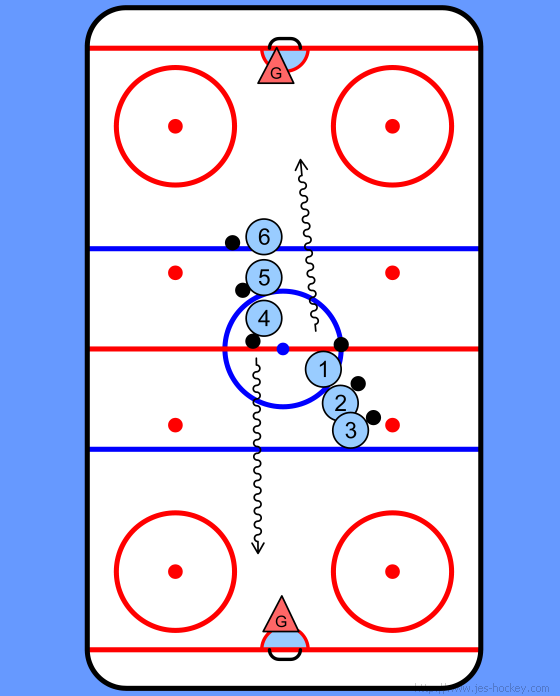 After 1 and 4 made their shots they go to a corner of rink and touch the boarding. 1 and 4 go to the opposite corner touch the boarding and join the other row for a go at the other side.